Turkish government spokesman condemns the killings as "utterly wrong"
Paris (CNN) -- The apparent assassination of three Kurdish women political activists in central Paris on Thursday, all shot in the head, has provoked shock among the Kurdish community. The fact that one of the women is a founding member of the Kurdish Workers' Party, or PKK -- a group viewed by Turkey, the United States and others as a terror organization -- has led to heightened speculation. The killings come at a delicate time for Kurds in Turkey, where analysts say the government has recently entered into talks with Kurdish leaders -- among them the jailed head of the PKK, Abdullah Ocalan. Analysts suggest the attack could be an attempt to derail a nascent peace process, in what is one of the Middle East's longest-running conflicts. French Interior Minister Manuel Valls told reporters in Paris the three women had been "without doubt executed" and described the killings as "totally unacceptable." Police said the women's bodies were discovered about 2 a.m. local time in the Information Center for Kurdistan in Paris, located on a busy street behind the Gare du Nord, one of the capital's main train stations. Officers took evidence bags from the building, near which much of the city's Kurdish community lives, but have released few details. Turkish government spokesman Bulent Arinc condemned the "savage" killing of the women, in comments to the semiofficial Anadolu news agency, saying it was "utterly wrong." "We expect the French government to enlighten this massacre beyond a shadow of doubt. We want it known that these murders committed overtly in the busiest part of Paris cannot be covered up," it said. "It is an assassination, it is terror, it is ideological and political assassination, (a) terror attack against the Kurdish people," he said. "Sakine Cansiz has been actively involved in the peace and democracy struggle, freedom struggle, of the Kurdish people for a long time. She was one of the women who participated in the formation of the PKK." Hugh Pope, senior Turkey analyst for the International Crisis Group, suggested the killings would "raise huge questions on the Kurdish side about what's going on" in relation to the Turkish negotiations. "No one should use this as an excuse to end these talks. Because this is a unique opportunity, it is a year without any political elections," he said. "Whoever did it, it's very important that the negotiators take steps to reassure each other." Pope warned against quick pronouncements on the assassin's identity or affiliation, saying the PKK "has a long history of killing its own people, too. So there's no way anybody can jump to conclusions." Huseyin Celik, a spokesman for Turkey's ruling Justice and Development Party, or AKP, said information was still coming in, but "when you look how it was carried out, it seems like an internal settling of scores within the PKK." He described her killing as "terrorism in the middle of Europe" and an attack on efforts to find a peaceful resolution to the Kurdish question. "It's a very big loss for us," he said. "I cannot describe my sadness. I've not seen anyone else in my life so warm and helpful to anyone." 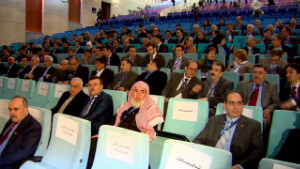 "We want to condemn these savage executions and the obscure political forces behind them. We are expecting at least 4,000 people," she told CNN. For decades, the Turkish state discriminated against the Kurds, Turkey's largest ethnic minority, which now makes up roughly 20% of the population. The Kurdish language was banned, and Kurds were long referred to as "mountain Turks." During Turkish Prime Minister Recep Tayyip Erdogan's 10 years in power, the government has made historic outreaches to the long-oppressed population, an effort that included secret talks with PKK leaders in 2005. 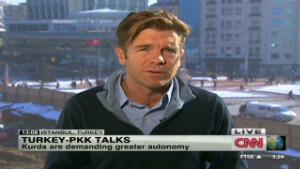 CNN's Ivan Watson and Gul Tuysuz reported from Istanbul; Alexander Felton and Laura Smith-Spark reported from London; and Jim Bittermann reported from Paris.